Sometimes, it seems like the NAMM show is all about the big launches from the big brands. But wander away from the big stands of the Anaheim Convention Center, and there’s still plenty of leftfield guitar innovations to get to grips with. 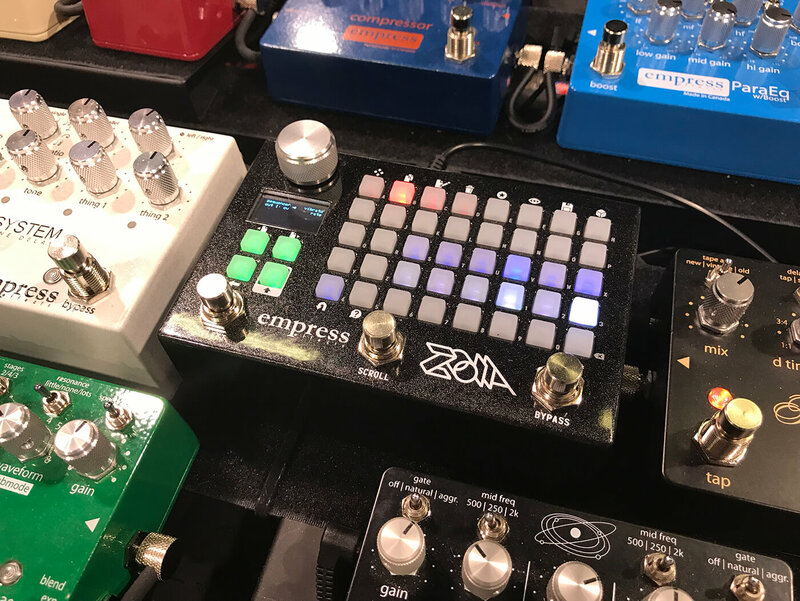 Only time will tell if these strange new inventions will become cult classics or bold missteps, but here are the six weird and wonderful (or maybe just plain weird) new products that stood out for us at NAMM 2019. First revealed at NAMM 2018, the Zoia and quickly caused a stir. 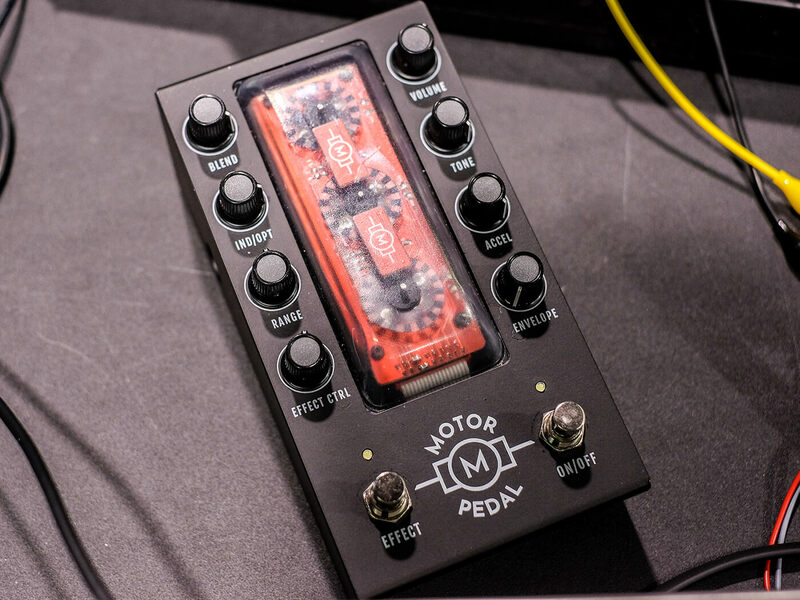 It promised to be a ‘compact grid of musical anything’ for the experimental guitar player by bringing the flexibility and power of a modular synth to a wide-format effects pedal. But after that initial reveal, things went quiet and little was seen or heard of the Zoia… until late last month. Traveler Guitar’s various super-minimal travel electrics and acoustics have earned a niche but passionate audience, but they’ve always been a touch po-faced. The cheekily named Vaibrant is aiming to change all that with an eye-catching and utterly barmy take on classic 80s shred axes, in either shocking pink or moody black finishes. It’s no toy, though, not with the proper Floyd Rose vibrato and HSH pickup layout (the pink model even sports Vai-style pyramid fretboard inlays). Rather, it’s everything the travelling shred-meister needs for on-the-go fret-melting. Gamechanger made its name extracting sounds using electrical current running through plasma tubes. Now, the brand’s next step is to find new ways to mangle sounds using the most analogue technology imaginable. Inside the Motor Pedal are three tiny, visibly spinning electric motors, which have guitar pickups and a spinning optical disk attached to their body in order to physically create the sound. The result of this configuration is a wonderfully flabby, filthy synth sound that’s fun in itself, but with the built-in arpeggiator and envelope filter, you get a one-way ticket to sonic chaos. While some guitarists swear by their tone control, the reality is that many guitarists never touch them. Danish company Noatronics has developed a clever new mod that aims to give you something a bit more useful. The Onboard Expression Receiver consists of a controller that replaces your tone pot, and a pedalboard-mounted receiver that connects to your guitar via a stereo jack cable. The receiver can be hooked up to any pedal or amp that offers MIDI, expression or switch control, enabling you to manipulate said control from your guitar. With the ability to tweak parameters on the fly without having to reach down to your board, the potential for sonic fun and games here is limitless. 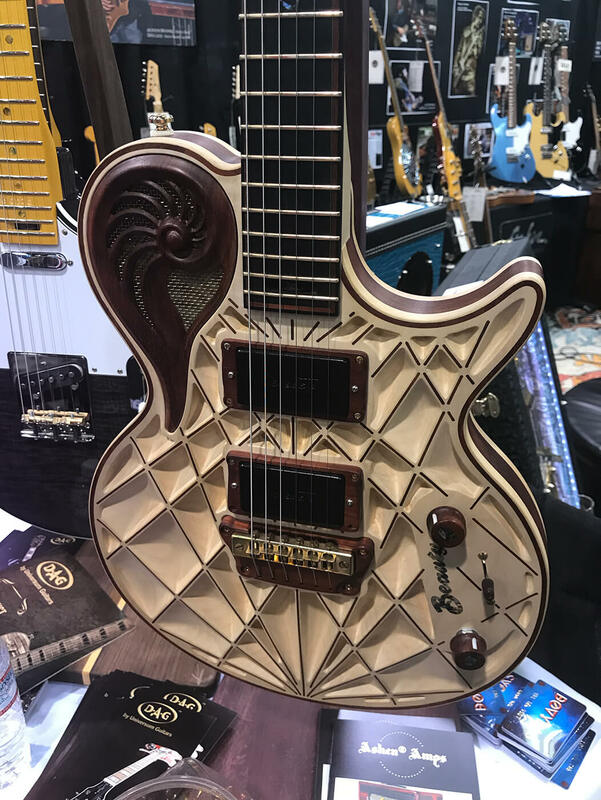 If your first reaction upon seeing this axe is, ‘Shouldn’t they have finished this guitar before bringing it to NAMM?’ you’re not alone. But Universum Guitars claims the Elena Beauty’s unique look also has sonic benefits. While some people still get angry about artificially aged guitars, the reality is that the concept has been such a resounding success that its not uncommon to it on mid-priced mass-produced production models… but what about pedals? 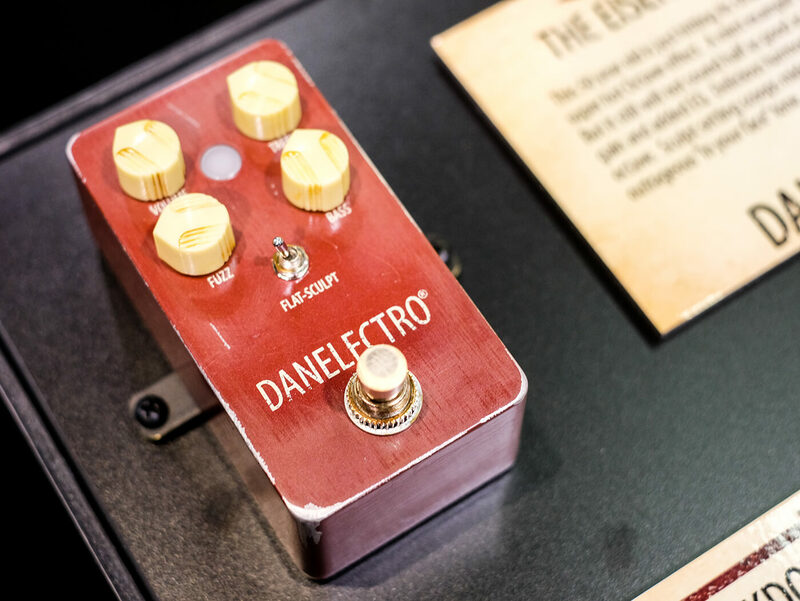 Artificially worn effects pedals have been the exclusive preserve of high-end boutique brands but Dano’s brand new Eisenhower octave fuzz (and its sister The Breakdown) bring scuffed up casings to the mass market for the first time.